Make sauce: In a medium saucepan, heat oil over medium. Add 1 teaspoon cumin, flour, and tomato paste; cook, whisking, 1 minute. Whisk in broth and 3/4 cup water; bring to a boil. Reduce to a simmer, and cook until slightly thickened, 5 to 8 minutes. Season with salt and pepper, and set aside. Make filling: In a large bowl, combine 2 cups cheese, beans, spinach, corn, scallion whites, and remaining 1 teaspoon cumin; season with salt and pepper. Preheat oven to 400 degrees. Lightly oil two 8-inch square baking dishes; set aside. 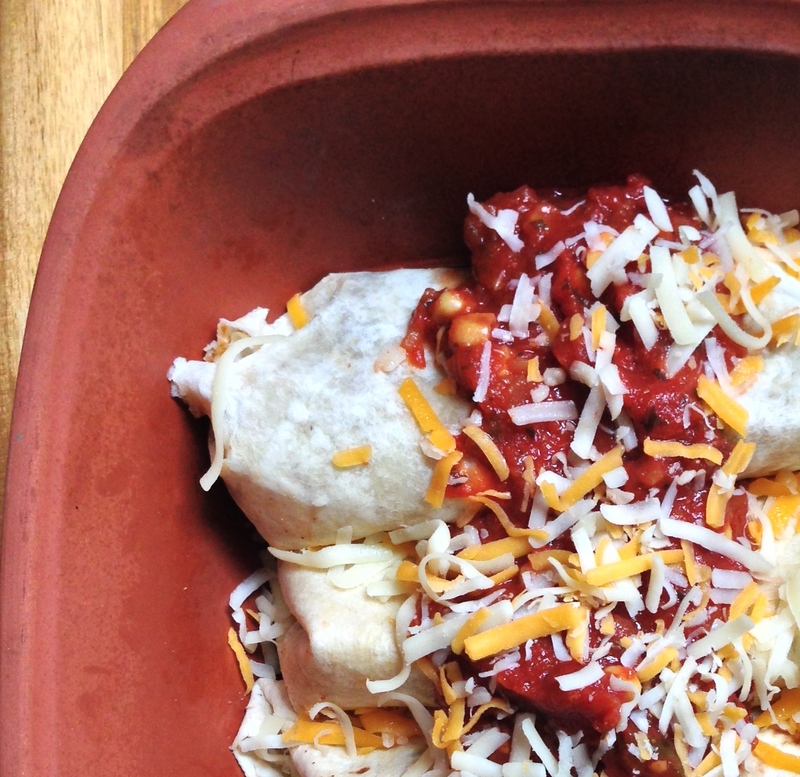 Stack tortillas, and wrap in damp paper towels; microwave on high for 1 minute. Or stack and wrap in aluminum foil, and heat in oven for 5 to 10 minutes. Top each tortilla with a heaping 1/3 cup of filling; roll up tightly and arrange, seam side down, in prepared baking dishes. 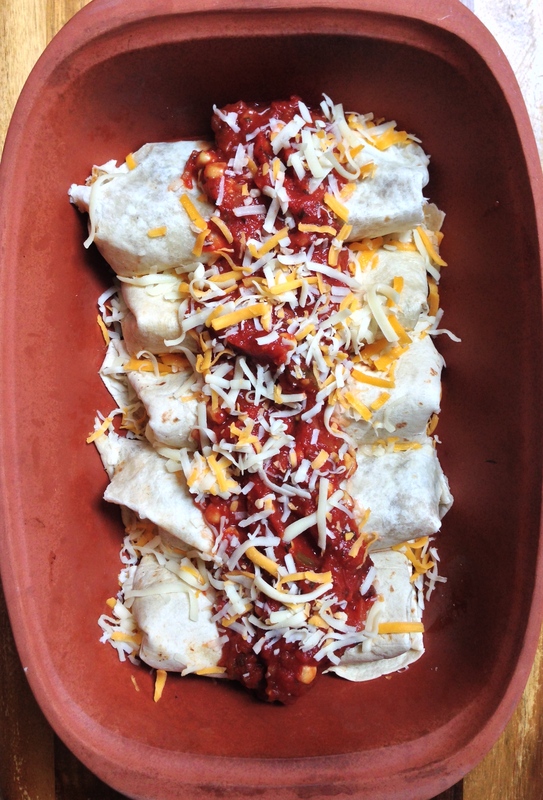 Dividing evenly, sprinkle enchiladas with remaining 1 cup cheese, and top with sauce. Bake, uncovered, until hot and bubbly, 15 to 20 minutes. Cool 5 minutes; serve garnished with scallion greens.